I've really been craving some Birria de Chivo lately, especially after having a delicious bowl of it a few weeks ago at one of my favorite spots in Los Angeles. 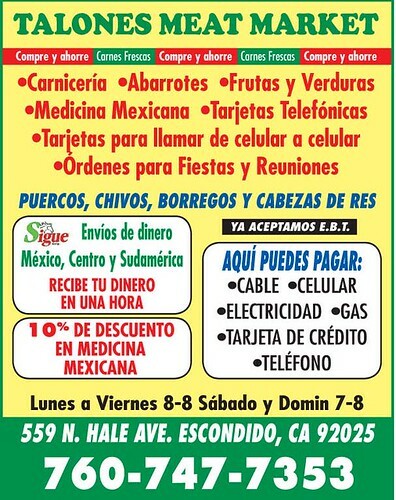 While reading the latest version of San Diego’s El Latino paper, I noticed an add from Talones Meat Market in Escondido. The Talones add was calling my name with the word "CHIVOS". The wife and I made a quick trip to Talones and we were pleased to find the goat was not frozen like most places. We ordered 4lbs and had it cut in cubes, we also ordered 1 goat head (cabeza). The wife likes using head in the stew to add a different element to the broth. We made a quick trip to Northgate Market for the essentials then it was back to the kitchen. We slapped 1/4 cup of vinegar on the goat meat and let it soak overnight. The next morning we were ready to go. 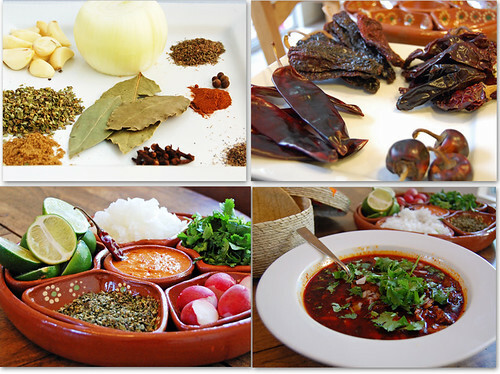 This recipe is for the guisado stew form which happens to be my favorite. 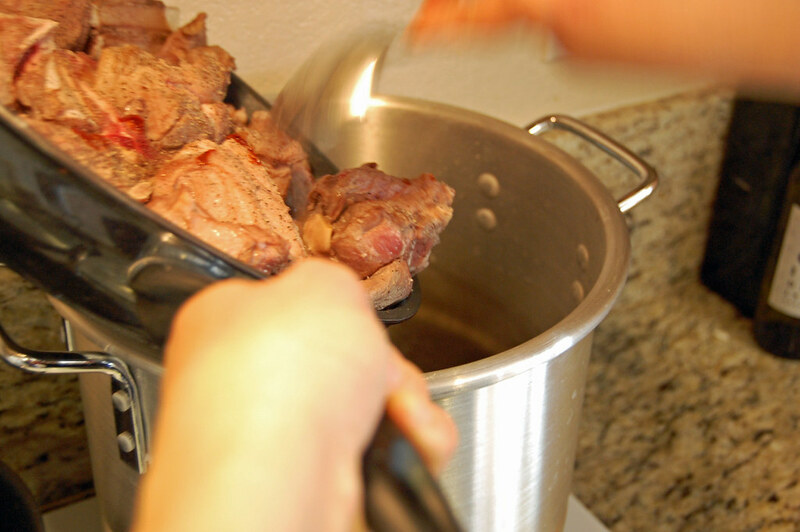 Another popular method of cooking birria is called tatemada; tatemada employs the two-step form of stovetop steaming followed by oven roasting. You can also use a variety of different meats, goat is my favorite choice. 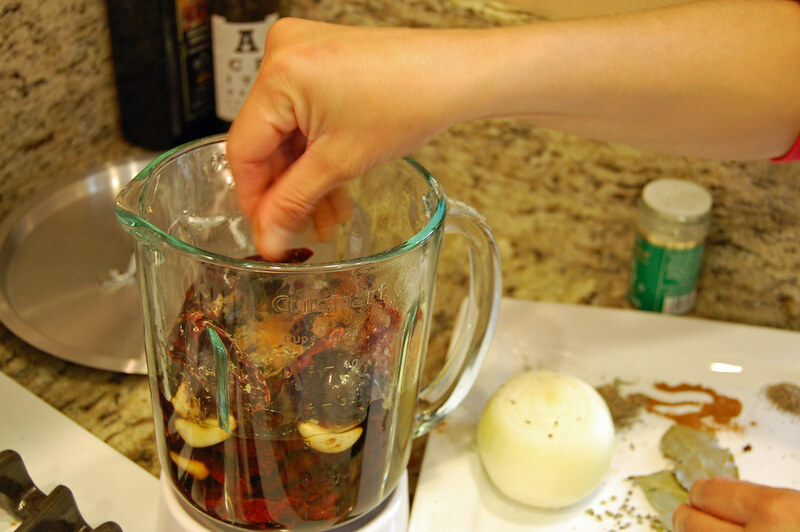 Remove the seeds and veins from the chiles and toast. 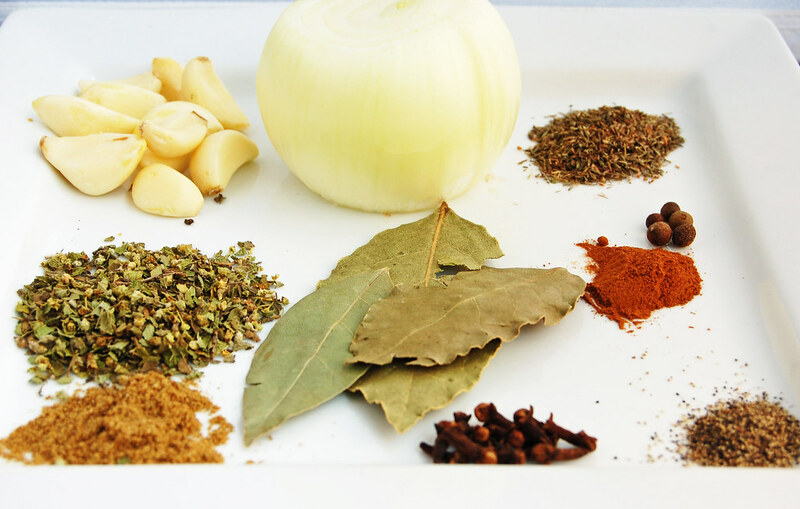 Put the chiles to soak in 1 cup of hot water for approximately 20 minutes, and then add the rest of the ingredients with exception of onion and bay leaves. 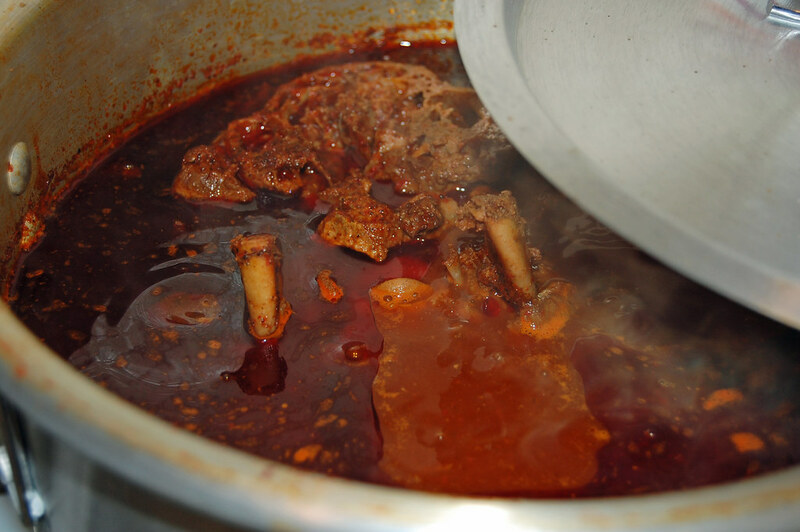 Seal in juices by searing the goat meat. We also seared the cabeza in a separate pan not shown. 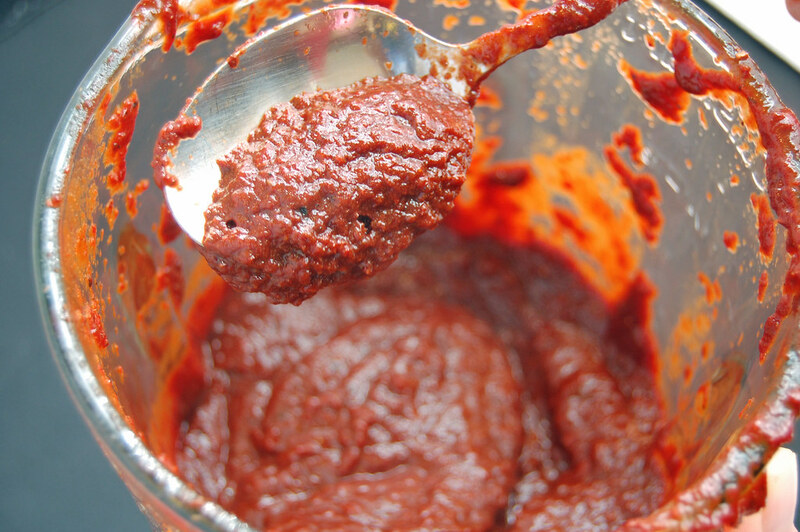 Blend ingredients to a smooth sauce. 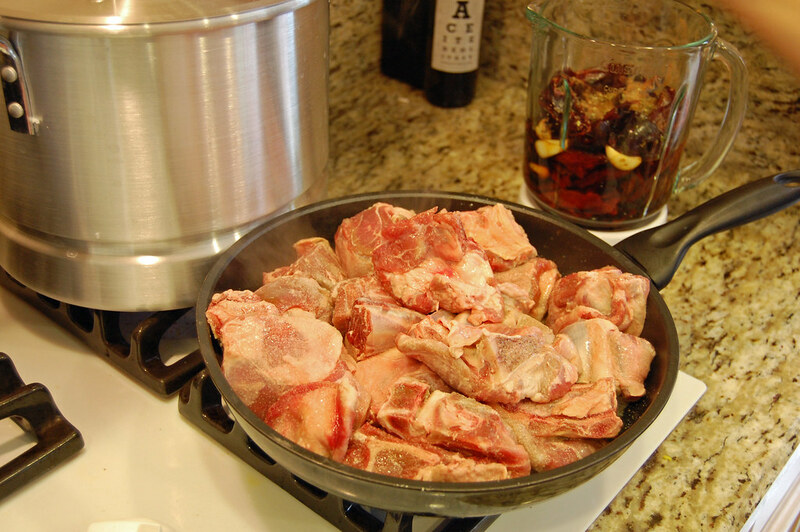 Place seared goat meat in a pot, and put just enough water in the pot to cover the meat. Add onion and bay leaves. 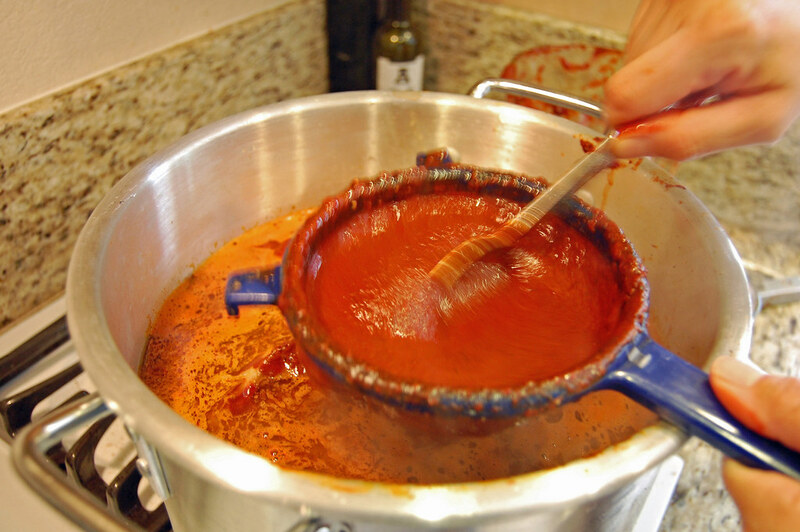 Immediately strain chile paste into the pot. 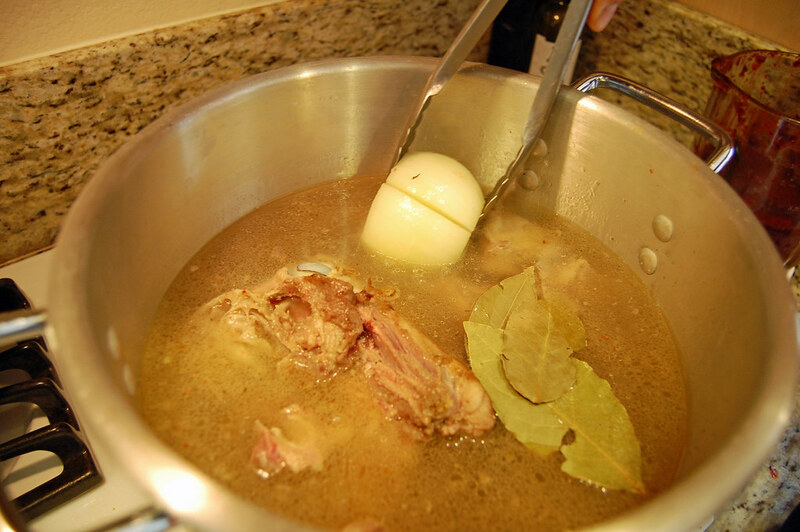 Place the lid on the pot and let simmer on low heat until the meat is "fall off the bone" tender. Add salt as needed. Our meat took approximately four hours before it was cooked to perfection. As part of the final process the fat and bones were removed. 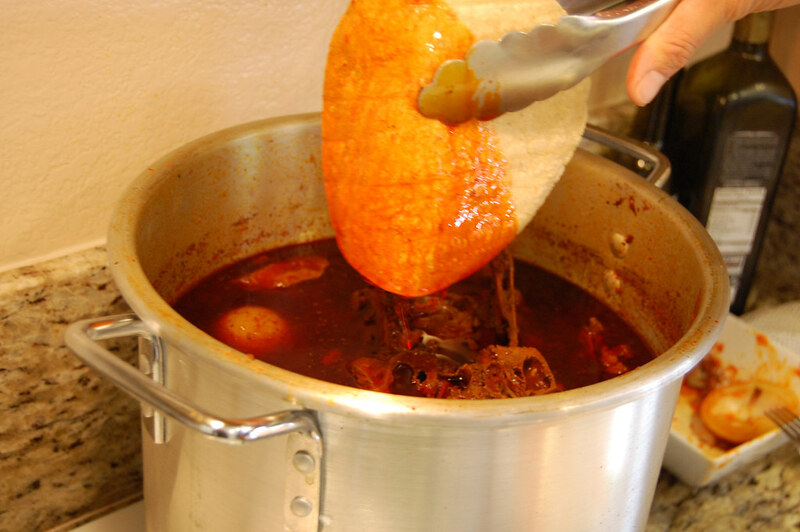 During the time I was anxiously awaiting for the birria, the smell permeating through the air was intoxicating. I have to admit I lifted the lid and sampled a few tender morsels more than once. I had to keep myself busy and out of temptation so I decided to prepare the essential sides of chopped onions, cilantro, oregano, lime, and radishes. 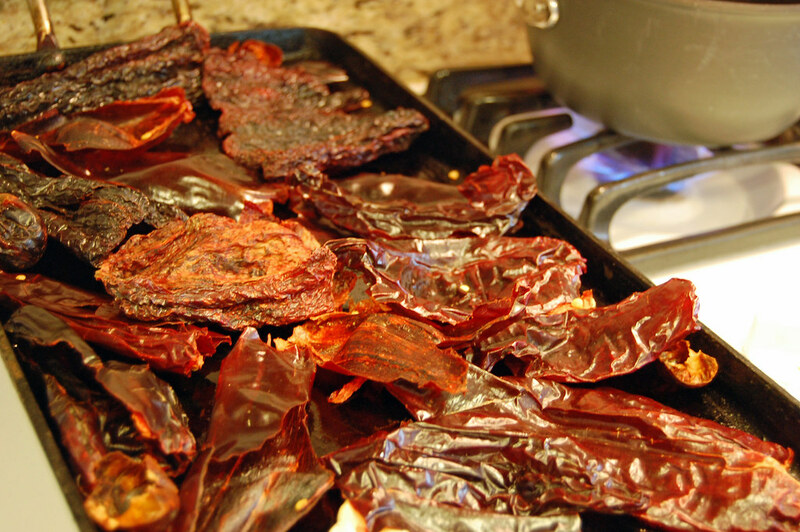 The wife was working on something more special an incredible chile de arbol based salsa with garlic and tomatillo. The salsa will be featured on a future write-up. The sides were ready to for the main course, and the tortillas were dipped in the delicious broth. This particular Birria De Chivo turned out to be one of the most memorable Birrias I have had, I would not change a thing. The broth turned out to be complex with the perfect amount of spice. Birria De Res is a dish we make frequently in the house but now that we have a source for fresh goat, its all about the Birria De Chivo. 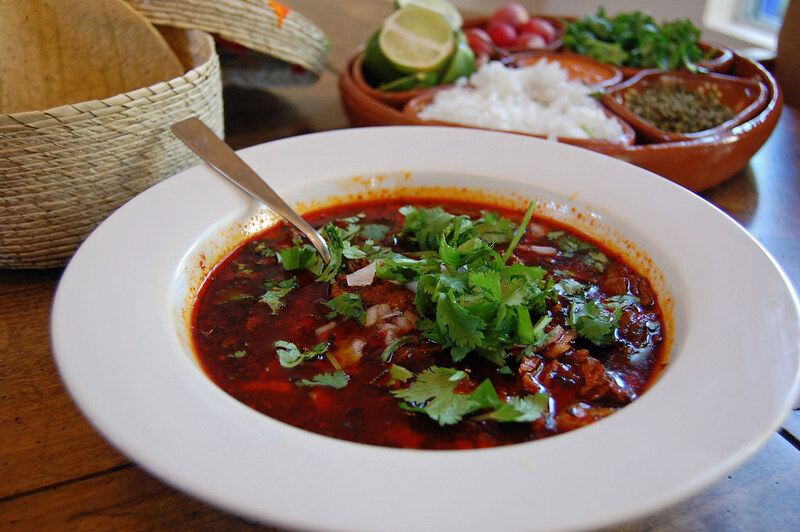 Enjoy the receta de birria de chivo. 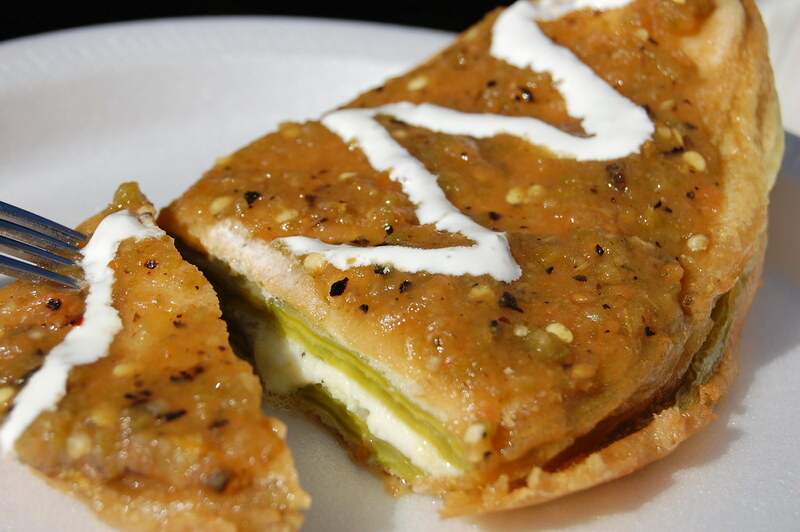 May will be Masa Month we will be featuring Masa Based Antojitos and also some major taco hunting I've done the past year in the streets of Tijuana. Craving some pasta on a beautiful spring day the family and I decided on a midday trek to one of our favorite fine dining destinations in Tijuana, Villa Saverios. 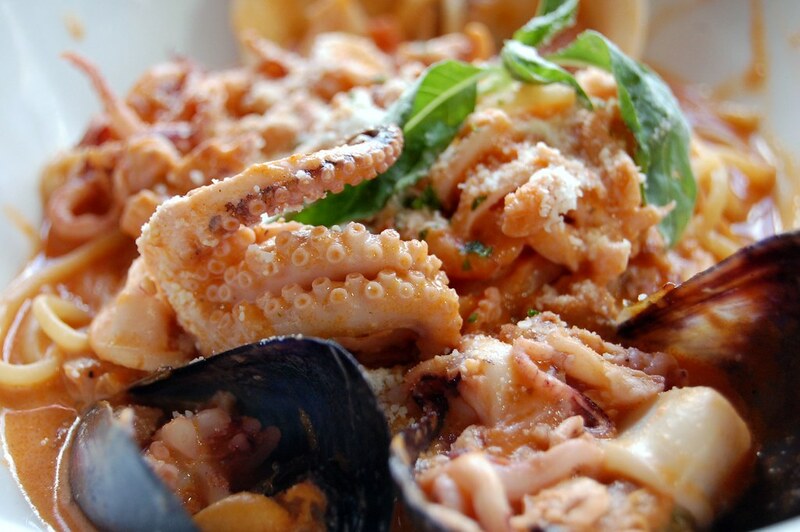 Just a 10 minute ride from the border and located in what is known as Tijuana’s Gastronomic District, Villa Saverios has an extensive menu combining the culinary influences from Italy, France, Spain, and the Mediterranean with the best local seafood and ingredients Baja has to offer. 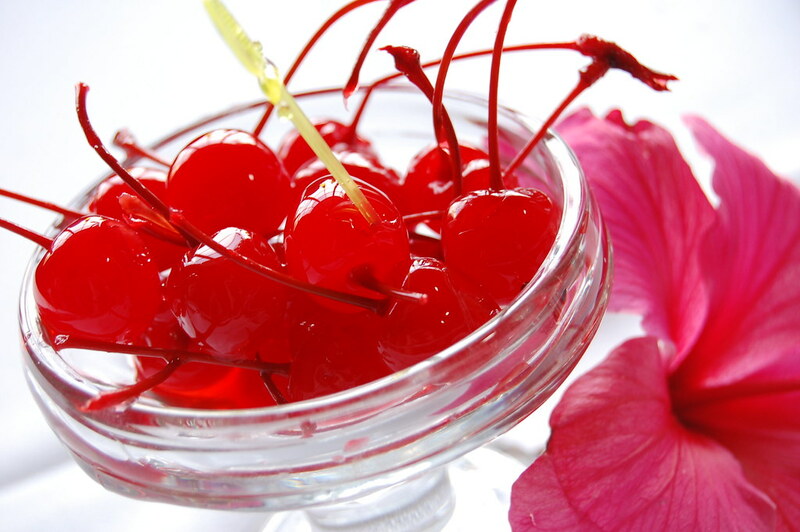 As we walked past some spring flowers outside Saverios, my Daughter picked a flower which turned out to be the perfect table centerpiece, creating an intresting color scheme with the crisp white linen table cloth and cherries. Meal service is formal and vigilant, with each table receiving the care of 3-4 friendly and knowledgeable staff members. 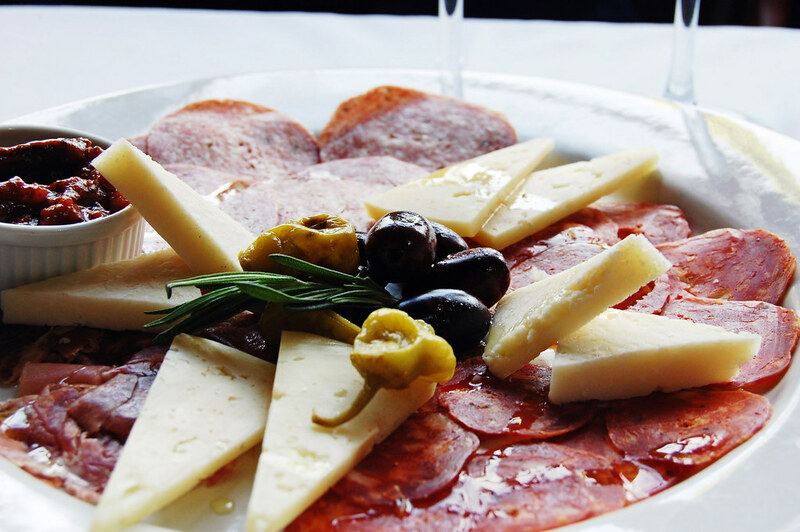 Browsing through the extensive list of cold and hot appetizers, we decided on the Antipasto Saverios, a nice blend of prosciutto ham, Spanish chorizo, pecorino, manchego cheese, marinated olives, and Sicilian caponata. 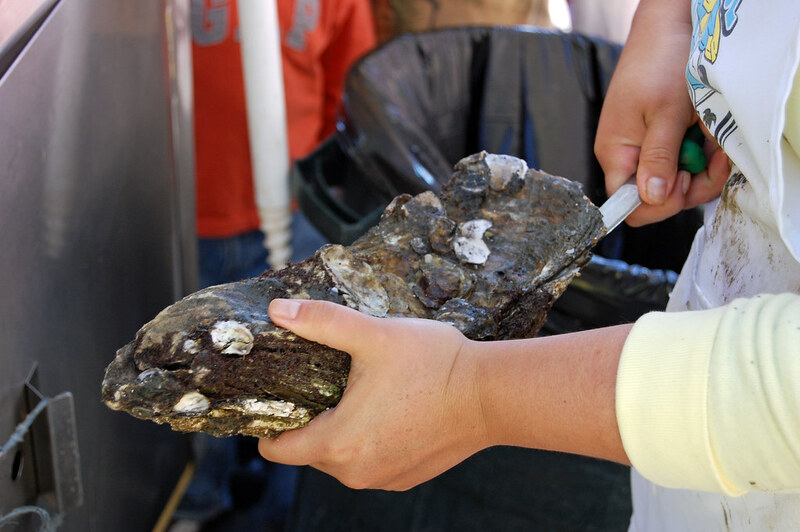 Note: Do not the miss the Mesquite grilled oysters when they are available. After enjoying the appetizers we decided to order the Spaghetti frutti de mare a delicious dish consisting of shrimp, clams, baby octopus, mussels and calamari in a tomato and saffron sauce, drizzled with local extra virgin olive oil . I have never been disappointed with the exceptional pastas at Villa Saverios and this was no exception. The spaghetti was cooked to perfection and fused perfectly with the local Baja catch. We paired the spaghetti with a nice Nebbiolo from the Valle de Guadalupe. Not being able to decide on one dessert we opted for something new Saverios offers “Degustación de Postres” a sampling of blackberry tart, mocha éclair, mango and cheese, crème brûlée, and chocolate aztec cake. 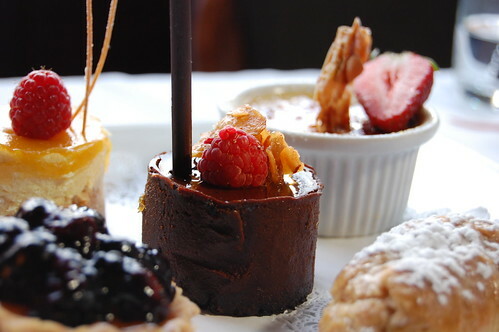 The chocolate aztec cake is a very interesting blend of Mexican chocolate infused with chili pasilla. Villa Saverios also has a very nice bar area with great ambiance; the walls around the bar are adorned with local art. 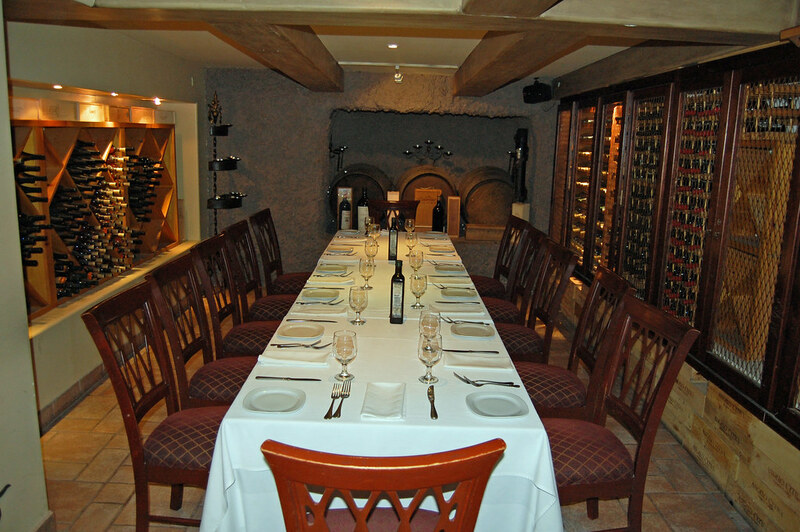 If you’re looking to throw a private party they have a huge banquet room upstairs and private wine cellar dining available. If you would like to learn more about Villa Saverios and Bajas gastronomic movement Gourmet Magazine wrote a detailed article back in March of 2007, the article also outlines most of the restaurants I have recently covered in Ensenada. Well it’s not every weekend I get out for culinary excursions in Baja, so this week I decided to cover what goes on in my Kitchen. 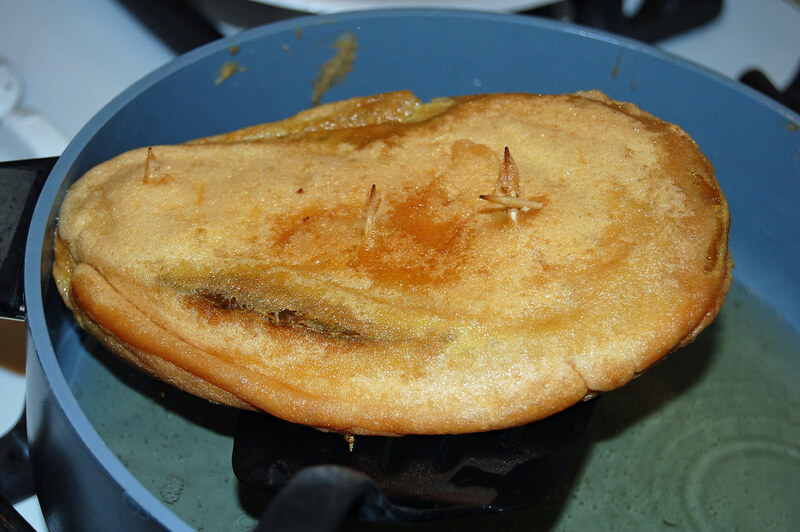 I was craving some Nopales and my wife decided to make some incredible Stuffed Nopales in Batter. 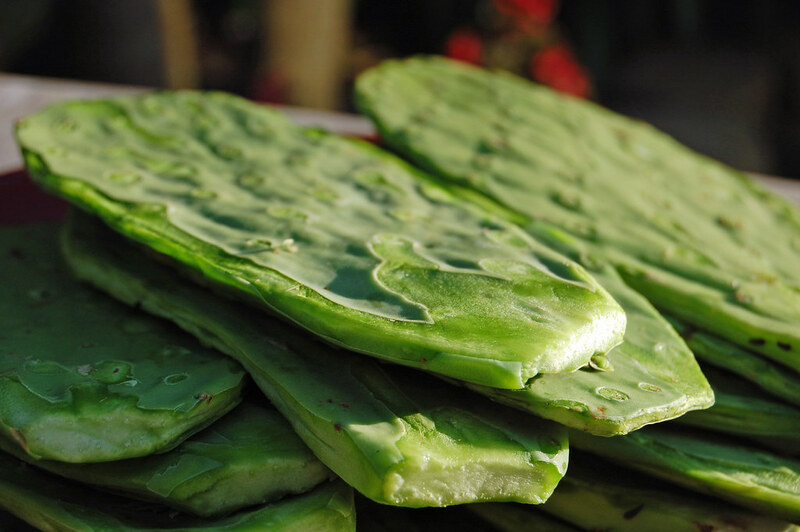 Clean and select Nopales, try to pair similar sizes preferably small. 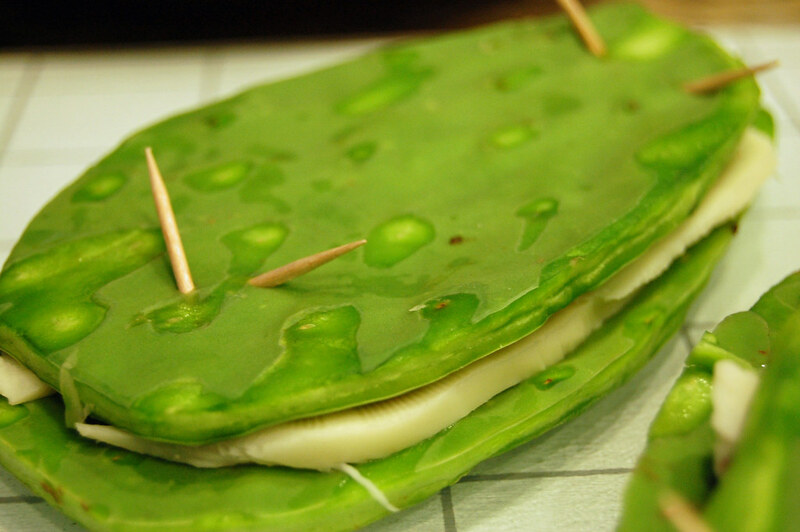 Place thin slices of cheese on one nopal and cover with a second one, basically making a sandwich. 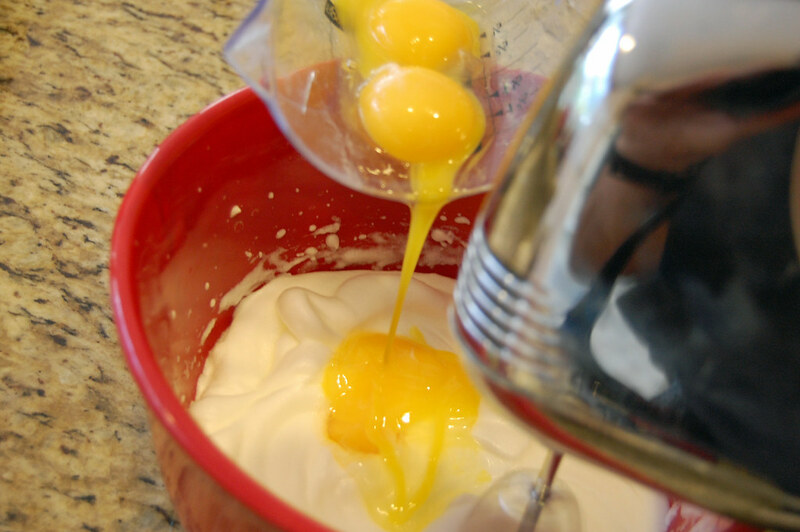 Beat egg whites until they form stiff peaks; gradually beat in salt and yolks. Heat the oil in a large skillet until a few drops of water sprinkled into it bounce around. 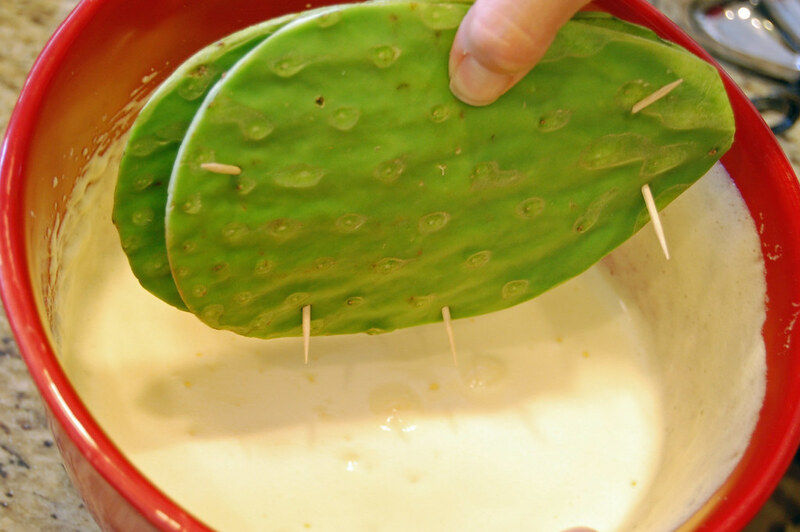 Dip the stuffed nopales in the egg batter to coat. Fry in the hot oil until golden brown on each side. Top with Salsa of choice, optional Crema and serve. The salsa we use is green tomato and chile de arbol based. Some people add flour to the nopal but we feel with the texture of the nopal it is not required, the batter sticks to the nopal just fine. 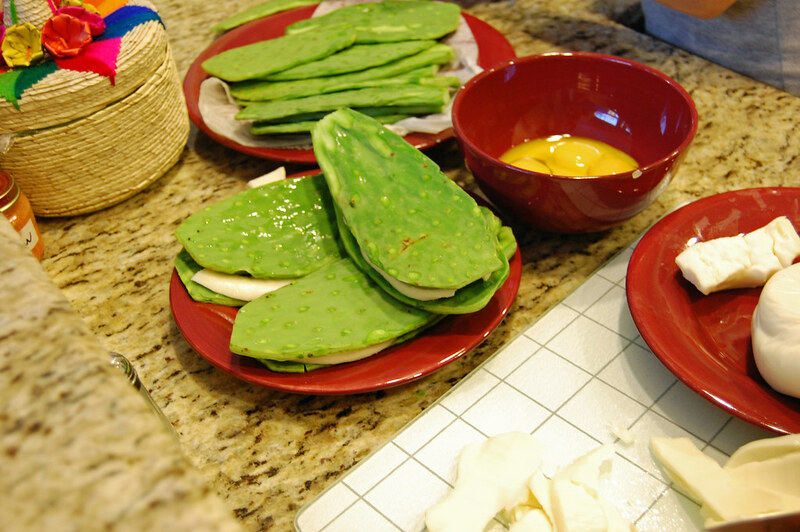 We also prefer the nopal to be dipped in the batter raw; some may want to boil the nopal. 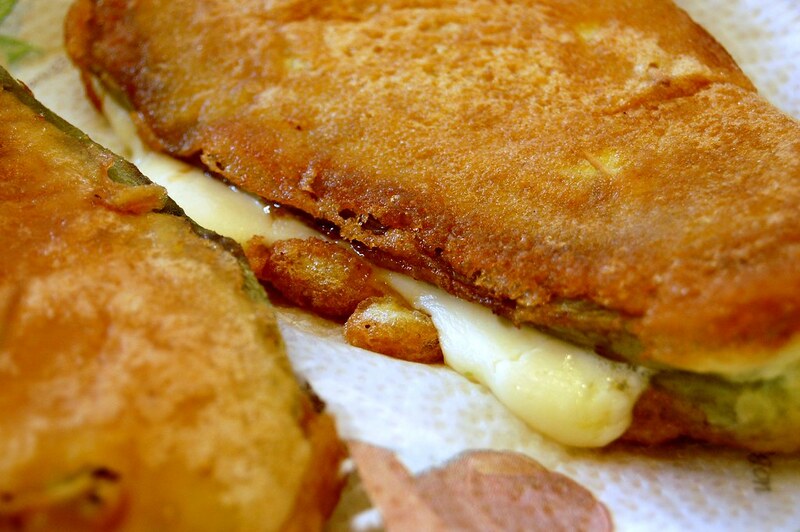 The type of cheese you use can vary. Sometimes you don’t have to go far for a great meal, I just feel lucky to have such a great cook in the kitchen. This post is also a tribute to my chowhound buddy EatNopales who eats nopales without removing the thorns! 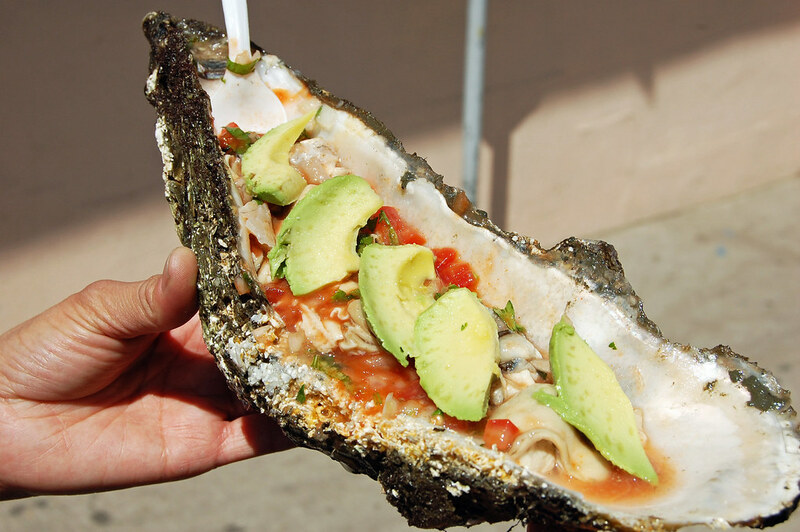 Giant Oysters (Oyster Huaraches), La Guerrense Ensenada Representing, The Linkery San Diego Gourmet Mexi-Dogs, and News and Notes. I didn’t realize how difficult it is to come up with post titles that summarize multiple topics. I’m trying to take a page out of local San Diego based uberblogger Kirk Ks book. Kirks blog mmm-yoso was actually one of the main inspirations for me to start this blogging madness. 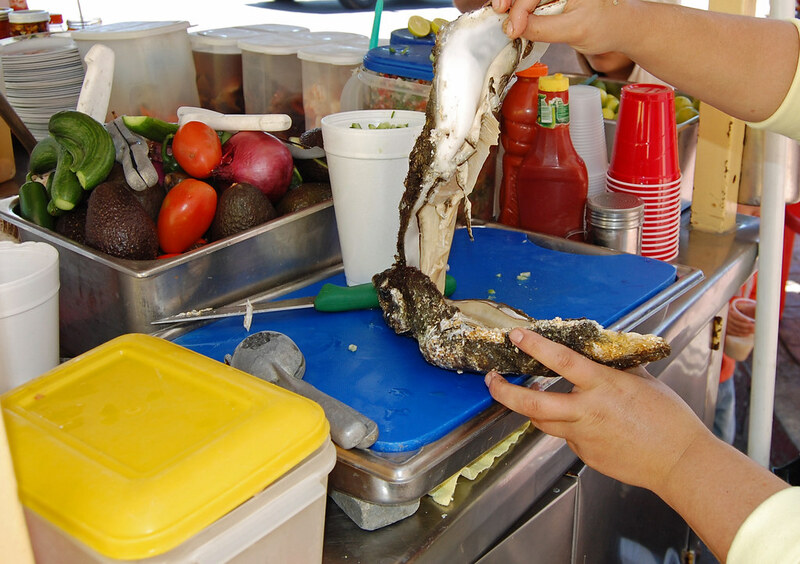 I was first intrigued by Oyster Huaraches (Giant Oysters) based on discussion by friends and fellow Chowhounders streetgourmetla and kare raisu who were led to La Guerrerense by chef Benito Molino. Upon subsequent visits to La Guerrerense the giant oysters were not available; however the nice owner Sabina did promise she would deliver soon. On my most recent visit the oysters were finally available but nothing could have prepared me for the size of these things. On another note La Guerrerense has received well deserved national media coverage. Sabina informed me that National Geographic recently filmed some extensive coverage of the cart; I will post up the coverage as soon as it’s available. Sometimes La Guerrerense proudly displays their past media coverage on the cart, I was happy to see my humble blog post on display amongst the media coverage. I was also pleasantly surprised by a post I read by The Linkery Restaurant in San Diego. 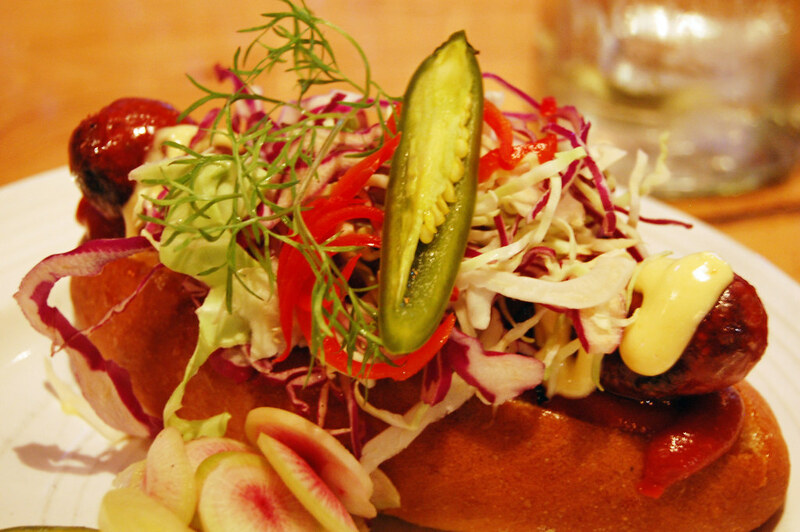 The post referenced my write up on the history of Mexicos bacon wrapped Hot Dog and highlighted a possible special menu item. The Linkerys take on the Mexi-Dog , 100% pastured beef, wrapped in hand made bacon smoked over California Red Oak, and in a house baked semolina bun. Of course, as soon as I read about this tantalizing creation, I had to drive straight down to The Linkery and try one out myself(Thanks Jay good stuff). 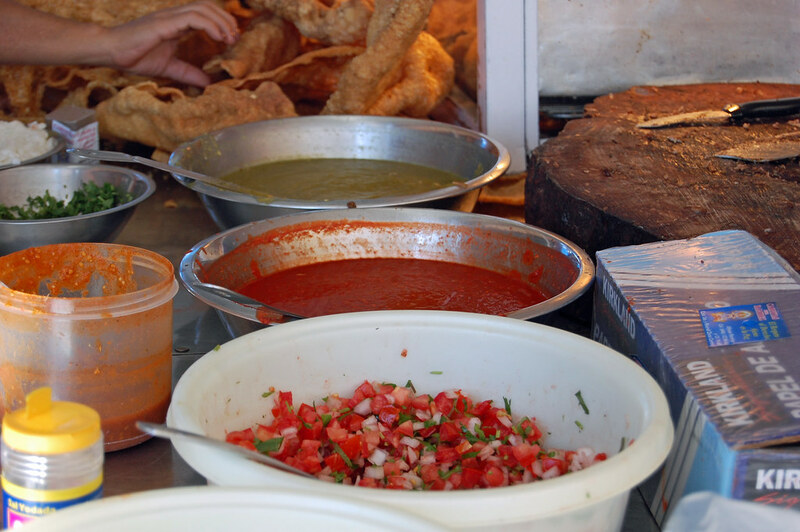 My morning meals on the weekend typically consist of Birria, Pozole, or Menudo, and usually on my way to Ensenada I stop in South San Diego or Tijuana for my fix. Last weekend, having skipped an early breakfast, I rolled into Ensenada around 9:30am with my crew (wife and junior masa). 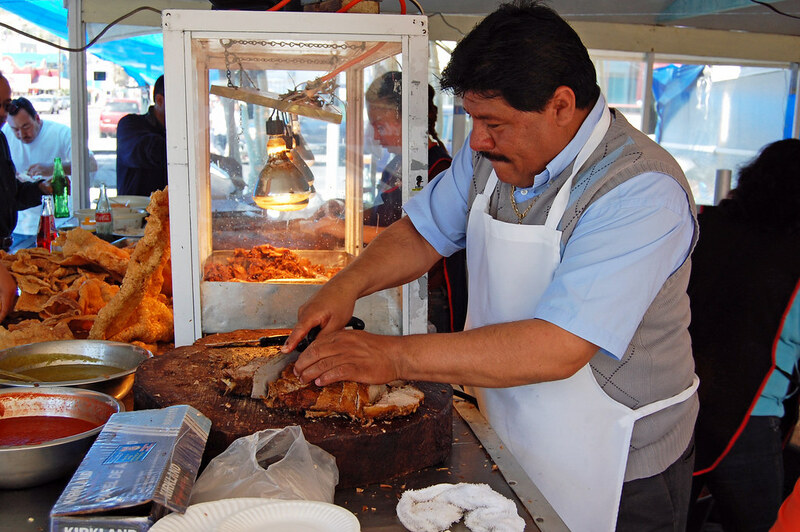 As we passed the corner of 2nd and Riveroll the musky scent of carnitas cutting through the air was so inviting. The scent was coming from Carnitas Hermanos Ramirez, and we decided to stop and join the local crowd. 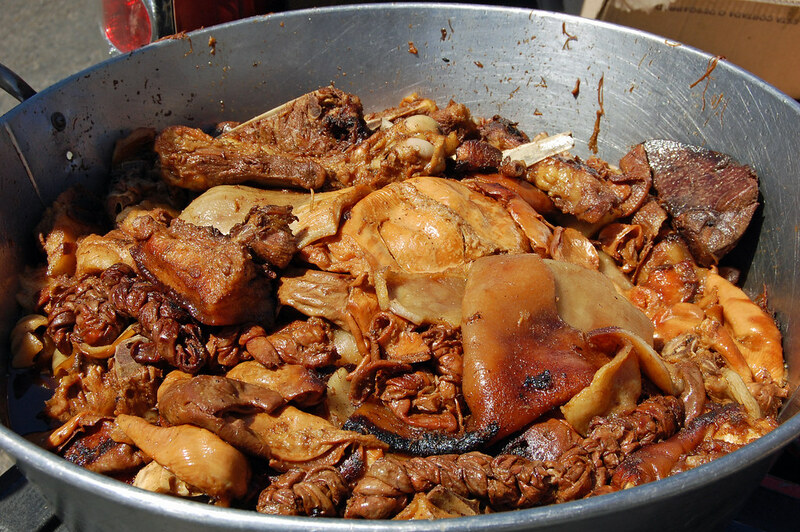 In Mexico no portion of the pig goes to waste, you can order anything from snout to tail and some of the prized parts move fast. As we approached the counter the wife ordered a surtido taco and I ordered a buche taco. 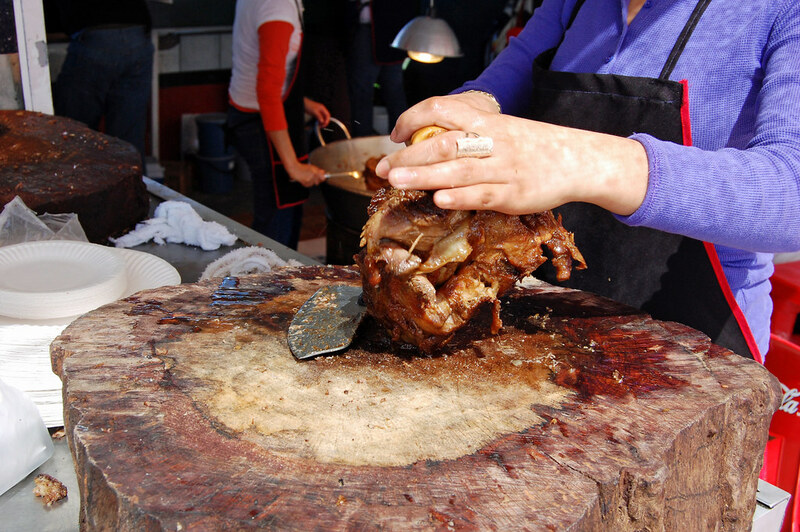 Surtido is a mix of the different parts of the pig and Buche is pig esophagus . 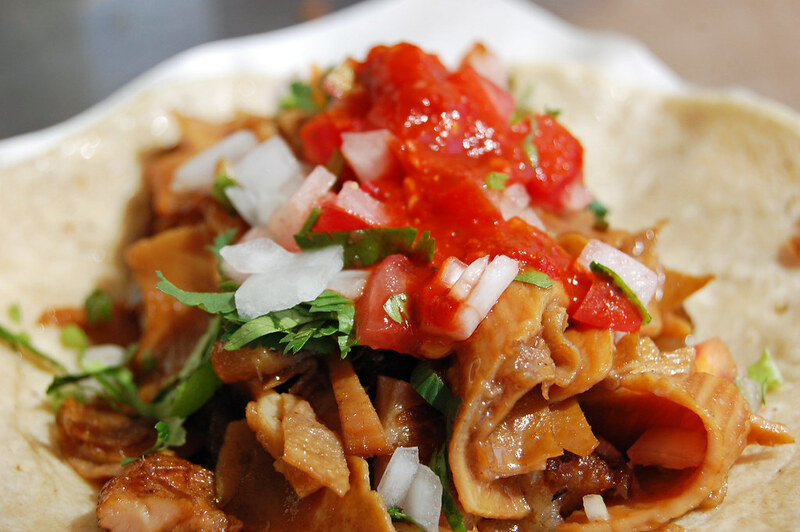 If you are unfamiliar with ordering carnitas in this fashion just point to the body part. If you’re unsure on what to order start with Maciza which is simply lean boneless meat. The pork here has spent hours slowly simmering in lard inside a huge cazo transforming it into mouthwatering deep golden brown carnitas. 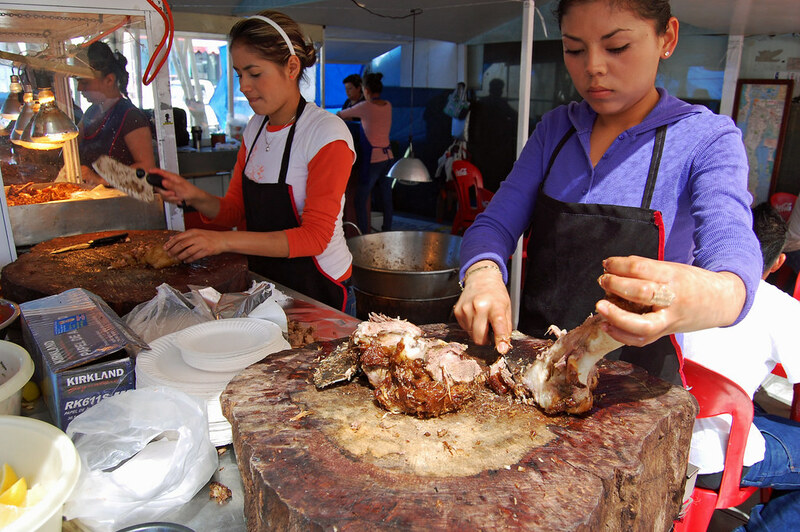 After you have chosen your part, a friendly taquera will pull the pork from the cazo and proceed to carve with the expertise of a Master Butcher. The staff here is very friendly and knowledgeable. 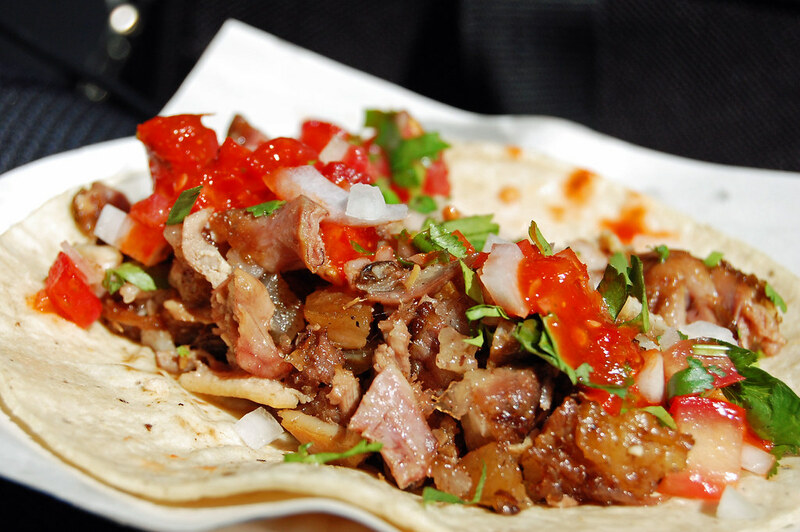 Once the taquera has placed the warm carnitas inside the tortilla it’s time to dress it. 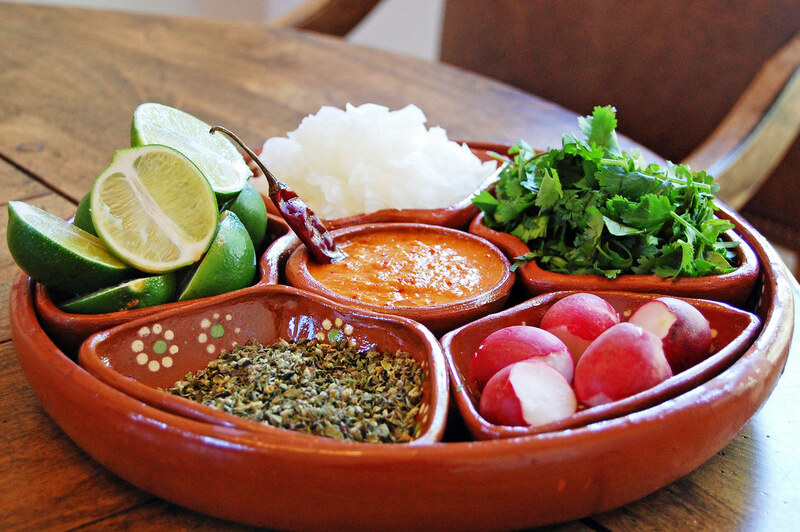 Hnos Ramirez offers an assortment of fresh salsas, onions, and cilantro to choose from. 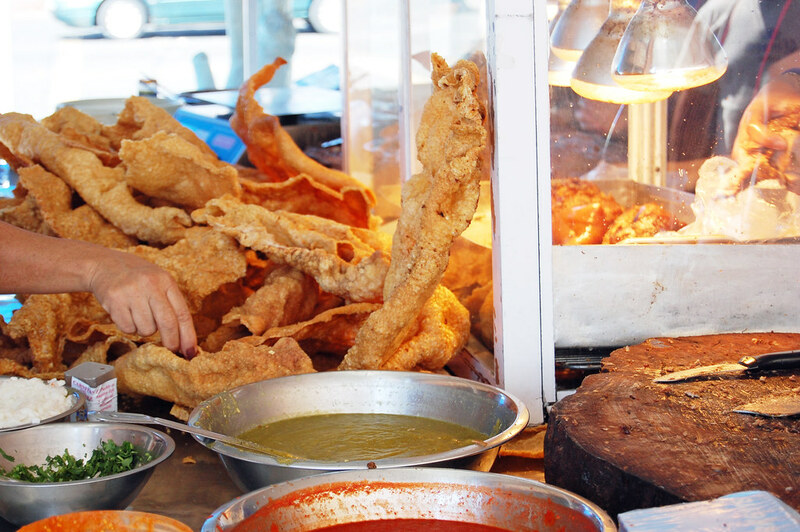 You can also take a piece of the complimentary Chicharrón (deep fried pork skin). I had a chance to meet the friendly owner Alfonso Ramirez who stated he goes through about three cazos of pig a day. 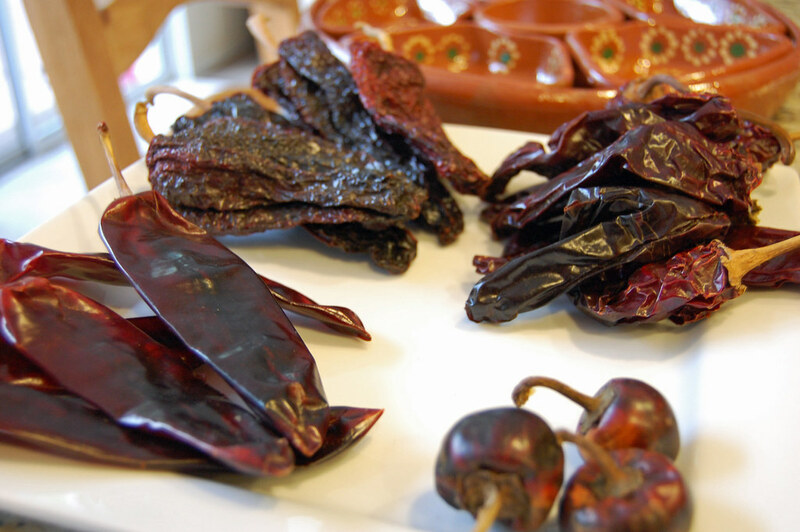 In 1998 Alfonso introduced the traditional cooking methods from his hometown of Salamanca Guanajuato Mexico to Ensenada. 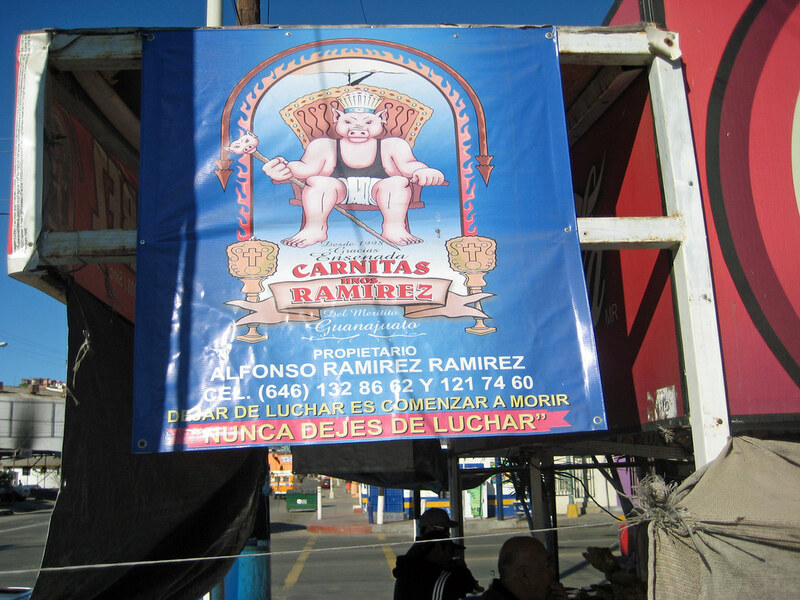 Located at the corner of 2nd and Riveroll Hermanos Ramirez is open 7 days a week from 800am-4pm. 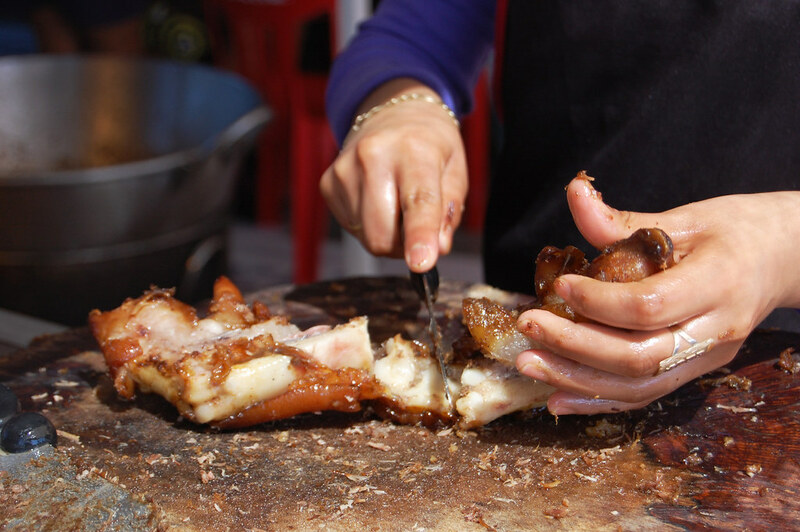 Carnitas enthusiast will usually figure out when their favorite parts are available and order oreja(ears),trompa (snout), nana (uterus) or any variety of exotic combos. You can also order a kilo and make your own tacos. While I’m in Ensenada it’s usually all about eating the fresh local seafood, but now I have added some succulent carnitas into the rotation, it’s just too good to resist. Masa (MAH-sah) Spanish for “dough,” Masa is the traditional dough used to make corn tortillas. 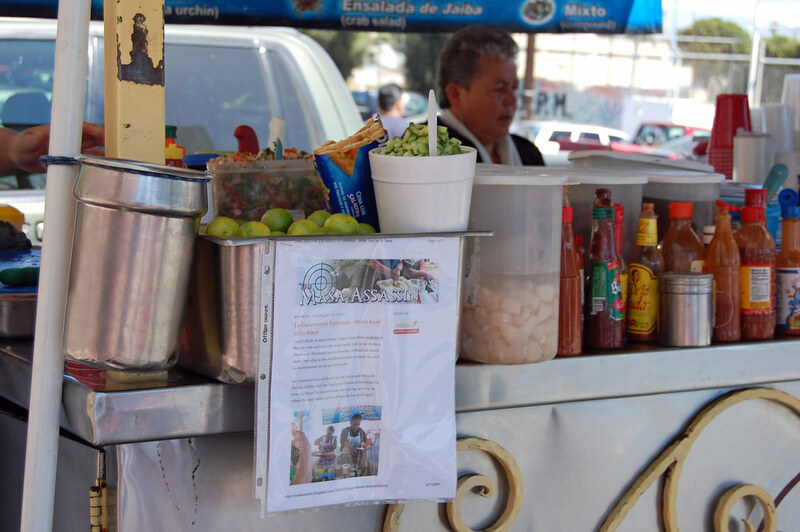 Follow me on my Culinary Excursions in Baja California Mexico and beyond. We will also take you in our Kitchen and showcase Regional Mexican Cuisine and occasional Cuban Cuisine. Provecho! The Masa Assassin is licensed under a Creative Commons Attribution-Noncommercial-No Derivative Works 3.0 United States License.